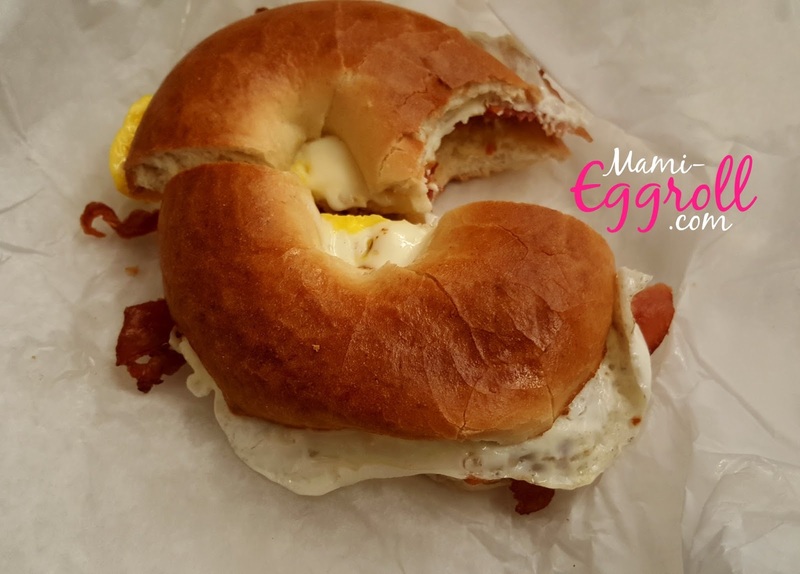 I'm not proud to admit that I usually get a bacon, egg and cheese on a toasted bagel to cure my hangover from "Thirsty Thursday." Not only do I eat my own sandwich, but I also freeload off my boss's Home Fries and toast that comes with his usual order of Tomato and Feta Cheese Omlette. I guess you can say, this weekly regime has definitely added to my waistline, but who can resist bacon? 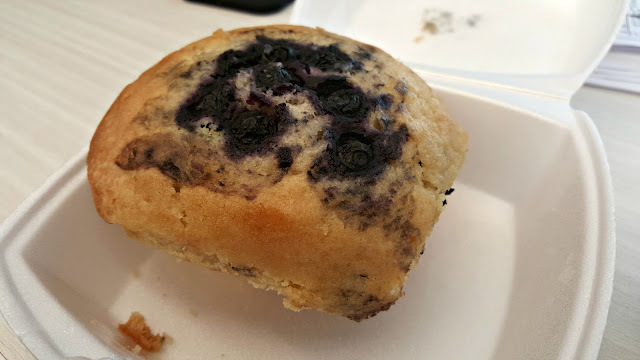 Once in a while, I get the Homemade Blueberry Muffin that is grilled lightly to a perfect crisp on the outside and warm and soft on the inside. It truly does melt in your mouth. 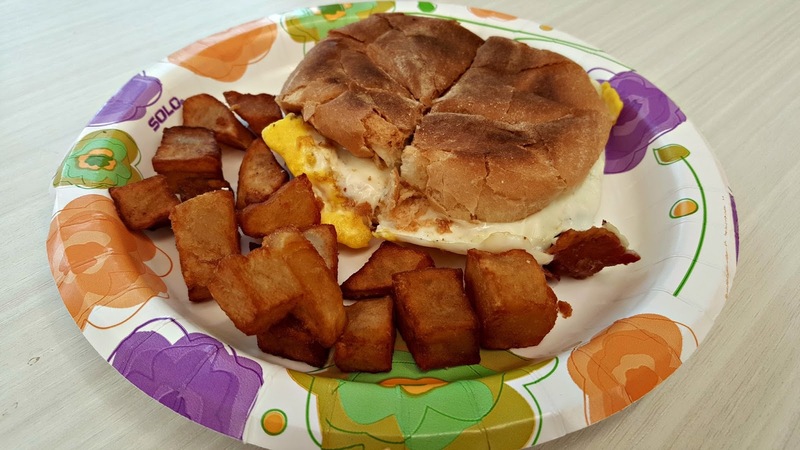 Prices are slightly higher than your typical diner fare, a bacon, egg and cheese on a bagel will cost you about $ 4.60 not including tax. 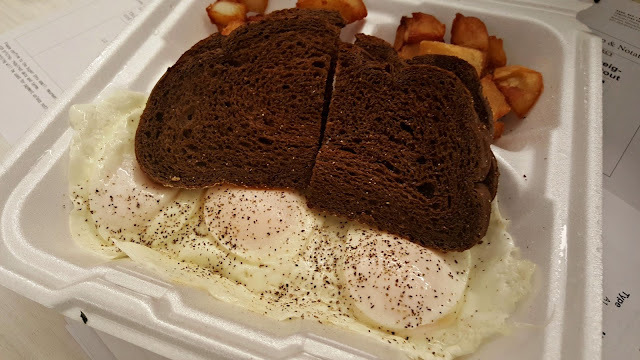 Considering the quality, consistency and service, it's all worth it! 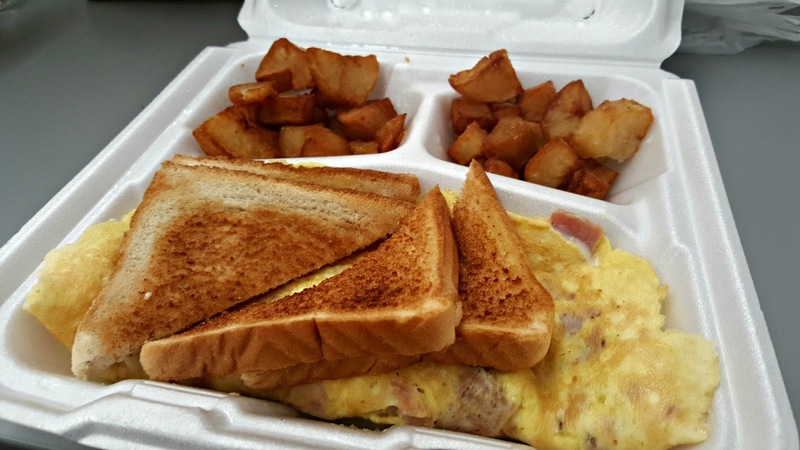 Next time you are craving a good homemade breakfast, stop by Jimmy's in Burlington, It's definitely worth a try! 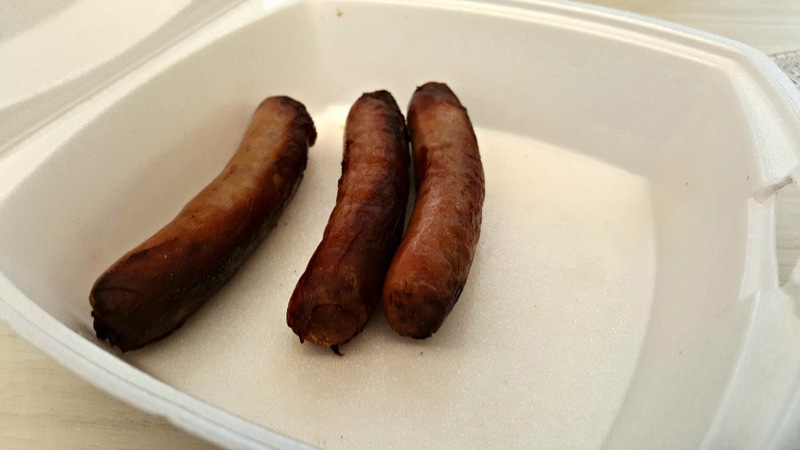 Here's some of the takeout we get on a regular basis.